Monday to Friday from 3-6 p.m. Unwind with Coastal Kitchen’s Jalapeno Margarita if you really want to heat things up. Full Happy Hour menu available here. 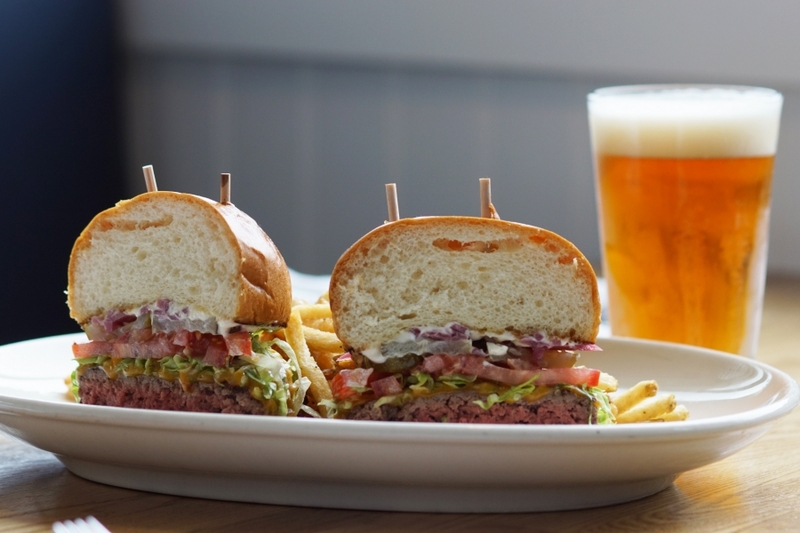 Coastal Kitchen offers a diverse menu featuring seafood, farm-fresh salads, sandwiches and premium dry-aged steaks. The Southern California inspired restaurant is now open every day at 11:30 am, serving signature lunch items such as the classic Tuna Melt, Cheeseburger, and the Fried Brie Salad featuring crispy garbanzo beans, grapes, Granny Smith apples and agave-madras vinaigrette. ​ ​Owners, Michael and Christina Grant both share passions for the culinary arts, and each working in the restaurant industry for years, they had a dream of opening their own place. Prior to opening, they enjoyed renovating the historical building that dates back to the 1920’s and was the first commercial building in Dana Point. Coastal Kitchen’s renovation pays tribute to the building’s historic Spanish Colonial revival architecture.